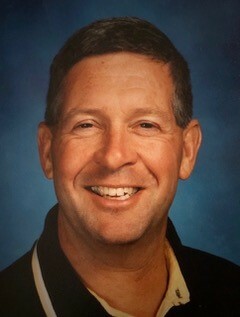 John was born to Ellen (Caviezel) and Art Linder in Seattle Washington, went to Sacred Heart Elementary in Bellevue, Washington, graduated from Seattle Prep, went on to University of Washington, graduating from Seattle University where he fortunately was introduced to Margo, who happened to be in the same Psychology of Childhood Development Class. They fell in love immediately and were married eleven months later, in 1969. John is survived by his devoted and loving wife, Margo, of 49 years from whom he was never separated, his tremendous children; Gabriel (Nancy), Deborah (Mike), Michael (Adrienne), Mary (Christopher), Bridget (Dave), Dominic (ZZ)), Thomas and fiancé Ashley, Peter (Monica), Kathleen (Cameron), and Patrick (Montserrat); 29 grandchildren, Isabel, James, Hannah, Amelia, Timothy, Lucy, Greta, Phoebe, Marianne, John, Monica, Andrew, Luke, Frank, Joseph, Elizabeth, Eric, Nicholas, Riley, Finlay, Samuel, Lawrence, Flora, Bernard, Celeste, Adelaide, Florence, Gertrude, and Margaret. He is also survived by his siblings in Washington State and Oregon, Karen (Sam) Greenwood, Kevin Linder, Gerald (Karen) Linder; nephews, Ryan and David; numerous cousins ; and Aunt Phyllis Steelsmith (Pete) in those areas.